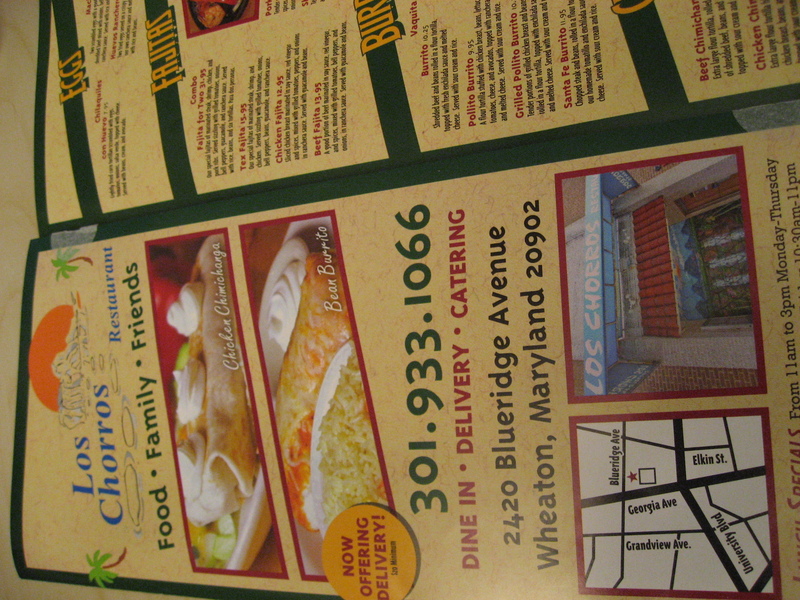 I’ve been thinking about the Los Chorros (2420 Blueridge) glossy mailer that arrived at Chez Me last month. It includes a full menu, coupons, lots of attractive color photos, and highlights that they offer delivery. For years many (especially ethnic) restaurants have relied on direct mail, either a big two-tone triptych (stereotypically Chinese) or a color glossy one-side small Valpak insert, for marketing and coupon dissemination. I’m sure technology has come far enough that the kind of large, multi-page, full color, photo-rife brochure Los Chorros just sent out has become relatively quite affordable. It takes a little more effort to get good photos, but I like it a lot, and I wonder if more restaurants will start producing similar items. And I wonder what kind of response rate LC has gotten.